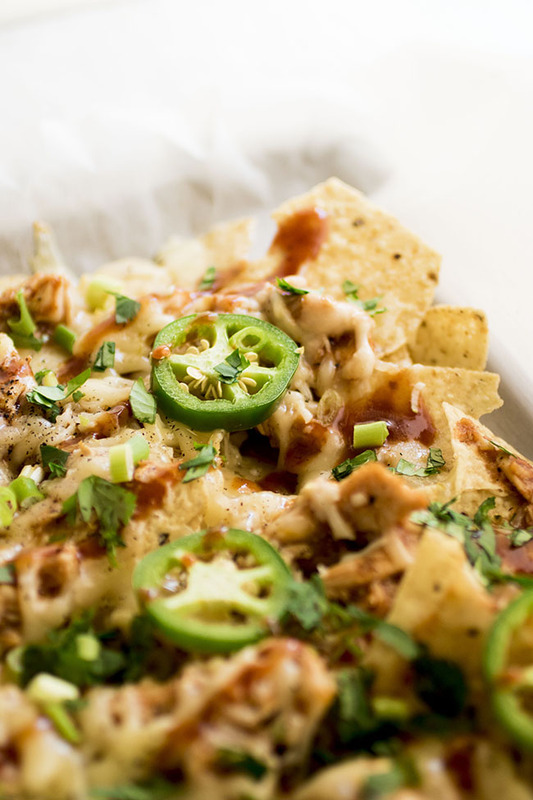 These quick and simple BBQ Chicken Nachos are perfect for game day or busy weeknights! 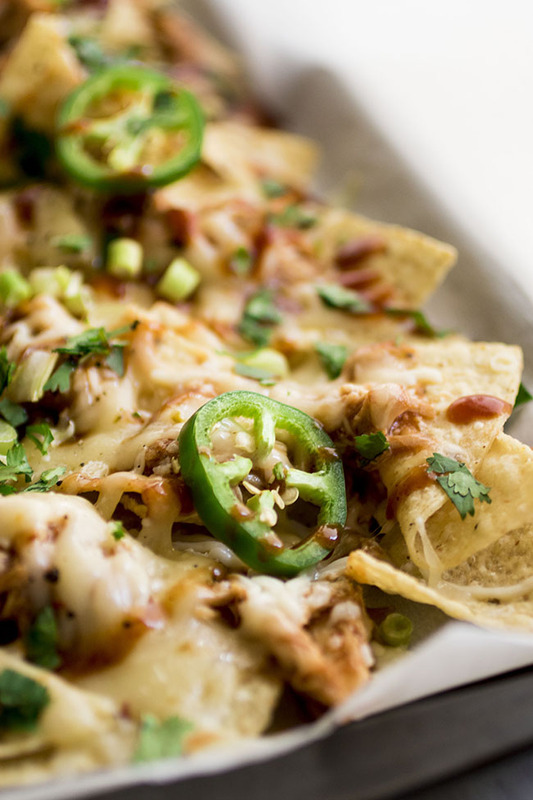 Tasty baked nachos with smokey barbecue chicken and spicy pepper jack cheese. Nachooooooooos! Do we really need to say much more than that? (Probably not. But here are some more words anyway because #CantStopWontStop). Work is about to get CUH-RAAAAZY for me as we run out the last lazy days of summer (BOOOO) and my travel schedule starts revving up for fall, so ten minute dinners (nachos! quesadillas! orzo soup! leftover cupcakes! wait…) are about to become all the rage in my house. Also, remember that easy shredded chicken we made on Monday? This is just one of about a zillion ways I like to use it during the week. Hip hip hooray for make-ahead food! Bake it up to get that cheese all melty melty. Extra BBQ! Chopped cilantro! Green onions! Plain Greek yogurt! (Or sour cream. If you’re into that kinda thing). 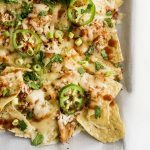 These BBQ chicken nachos are the perfect “we-have-no-food” food – simple, quick to make, and oh-so-easily customized to suit whatever you’ve got floating around in your fridge. They’re also verrrrrry forgiving, which is THE BEST, because it means you can just eyeball ingredients and make all kinds of crazy substitutions without worrying whether the recipe will, you know, “turn out” or whatever. Have chips, have cheese, will travel! (Will nacho? Whatever). And okay, really, the most important thing here is to use some bomb-dot-com barbecue sauce. Because what are chips and cheese and chicken if not just vehicles to shovel delicious BBQ sauce into your face with reckless abandon? 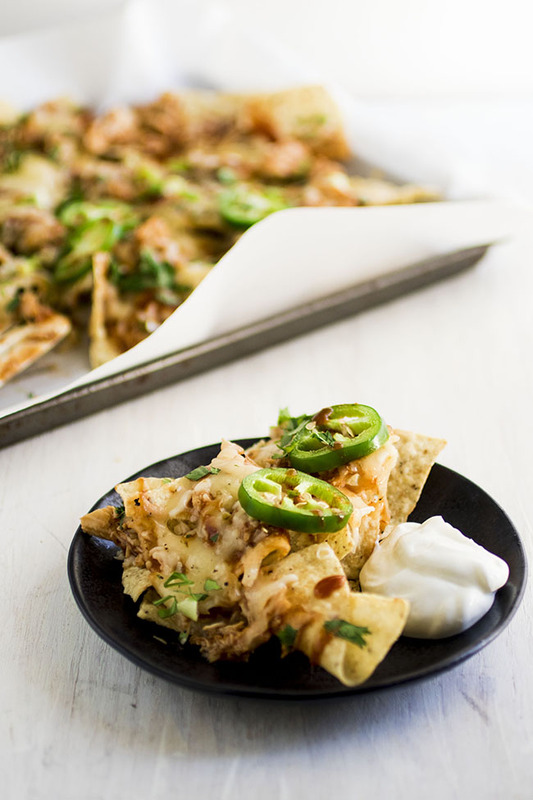 Easy chicken nachos – perfect for busy weeknights. In a small bowl, toss chicken and BBQ sauce together until chicken is lightly coated. 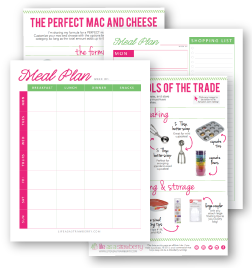 Line a large baking sheet with parchment paper and lay chips out in a single layer (see recipe notes). Top chips with shredded chicken, mozzarella, pepper jack, jalapeño slices, salt, and pepper. Do your best to spread the toppings out so you get a nice topping layer across all of your chips! 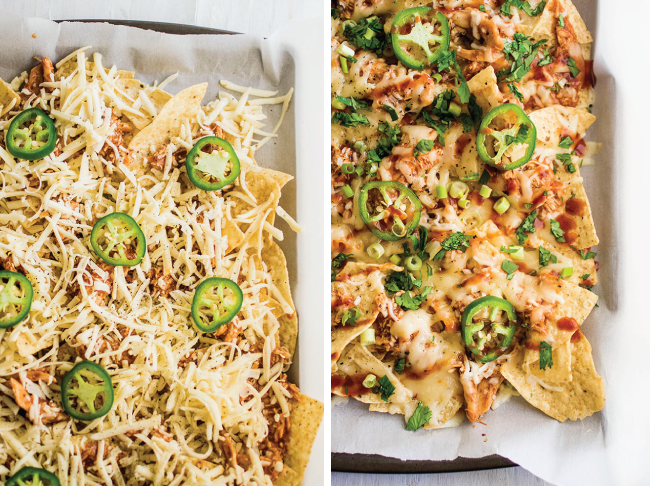 Bake nachos at 375 degrees F for 8-10 minutes until cheese has melted. 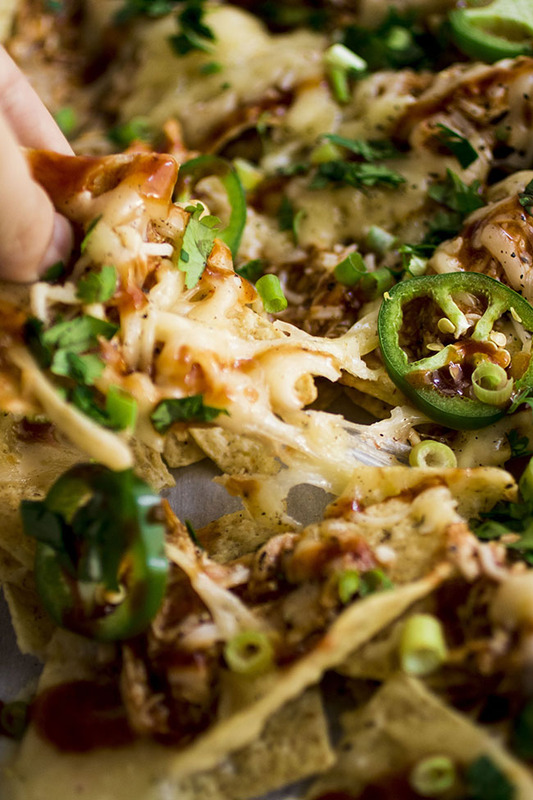 Top cooked nachos with an extra drizzle of BBQ sauce, cilantro, green onions, and a few dollops of plain Greek yogurt and serve immediately. Lay chips out in a single layer if your sheet is big enough – this is so you can make sure every chip gets lots o’ that cheese and topping goodness! If your pan is smaller, or if you’re baking nachos in a cast iron pan, then layer the toppings and chips so that you have a single layer of chips, then a layer of cheese + toppings, then another layer of chips, and so on. If you’d rather not have full slices of jalapeño (it’s not for everyone, I totally get it!) you can dice the jalapeño instead. Add black beans, tomatoes, avocado, bell peppers, or any other toppings you have on hand! Leave out the chicken or replace it with crispy tofu or mushrooms to make this a vegetarian version.